This 40' x 20' end extender for a sectional pole tent is commercial rental quality and is the perfect party tent for your wedding, graduation, church function, or other event. 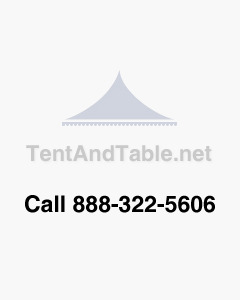 This commercial grade block-out tent top is also excellent to replace your rental party tent business or event business. Note: Pole Tent Top Rope End Section Only! Safety: All commercial tents are manufactured using a fire resistant vinyl that meets or exceeds the National Fire Protection Association fire resistant standards.